The papers of Richard Dudley, which include the archives of the New Unity Movement and some documents of earlier anti-apartheid liberation movements, have been professionally processed and are now accessible for research. The papers were deposited with Special Collections, UCT Libraries, by Dr Basil Brown on behalf of the New Unity Movement and the Dudley family. The inventory indicates the scope of the papers. Richard Owen ‘RO’ Dudley (1924-2009), MSc, BEd, BCom, DEd Honoris Causa (UCT), was an educator and Deputy Principal at Livingstone High School, a leader in the Teachers’ League of South Africa, the New Era Fellowship, the Non-European Unity Movement, the Anti-Coloured Affairs Department Movement and co-founder of The Torch, Life President of the New Unity Movement, and a social and political activist. Having matriculated at the age of 15, Dudley entered the University of Cape Town studying in the sciences with the aim of teaching. He emerged with a BSc, MSc and a Teacher’s Diploma by the age of 20. Dudley was politicised while a student and was a committed socialist, actively engaging throughout his life with resistance to apartheid policies and practices through non-racial, non-collaborationist liberation movements. The Teachers’ League of South Africa (TLSA), in which he played a leadership role in the 1950s, was at the time also following a political agenda aligned with that of the Non-European Unity Movement. Following his retirement, he was instrumental in founding and leading the New Unity Movement. ‘The government in this country wants the boys in the class here to go and work on the farms. My job is to keep them off the farms. They want the girls here to go and work in the farmer’s wife’s kitchen. I want to keep them out of the kitchen. I think you’re worth far more and you’ve got a contribution to make. You’ve got to be new people in a new South Africa’. (Cited in Alan Wieder, Teacher and Comrade: Richard Dudley and the Fight for Democracy in South Africa, 2008, p. 75). The recordings of the interviews with Dudley conducted by Wieder for this biography are incidentally also housed in Special Collections in the archives of UCT’s Centre for Poplar Memory). In acknowledgement of Dudley’s contribution to education, and in recognition of his work towards a vision of a non-racial, non-exploitative society, the University of Cape Town conferred an honorary doctorate upon him in 2009 (while acknowledging that not everybody agreed with his philosophy of non-collaboration also post-1994). Besides the evidence of the activism in the informational contents of the documents in the collection, some show tangible evidence of the struggle era in their physical condition. 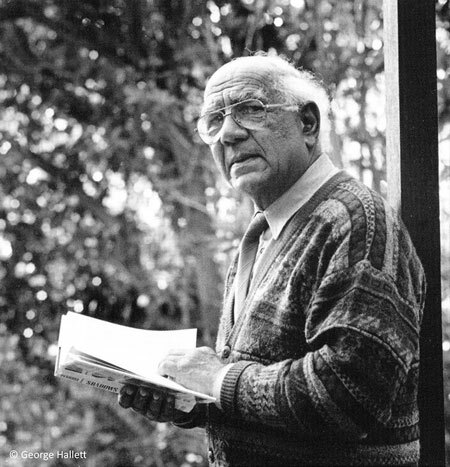 In a period of repression in the 1960s, when Dudley was a banned person (although allowed to continue teaching), he buried some of the records of the TLSA in his custody in his garden. However unbeknown to him, the water table rose, and when the records were unearthed they had suffered significant water damage. Water damaged records of the Teachers’ League of SA which Dudley had buried to hide them from authorities. Dudley was a prolific writer and orator; he read voraciously and gathered and kept extensive reference material. He was concurrently active in various organisations with interlinking agendas. Consequently the records as received evinced considerable intermingling in terms of originating structures and chronology. The processing of the collection according to archival principles therefore posed challenges. However the inventory now reflects a scheme based on structure, function and chronology.